About 5% of the Medicare population—or 2 million beneficiaries—would benefit from home-based primary care. These patients are too sick to leave their home and have serious chronic conditions that require frequent visits from a physician, nurse practitioner or physician assistant. Despite the demand for home care, only about 100,000 Medicare beneficiaries actually receive it because of a severe shortage of providers trained and willing to give such services, experts say. "There just aren't enough providers right now," said Dr. Eric De Jonge, director of geriatrics at MedStar Washington (D.C.) Hospital Center. There are several reasons why doctors and other providers aren't flocking to home-based care. The current fee-for-service reimbursement model is so low for home-care services, it isn't appealing for providers saddled with debt who can work in higher-paying specialties. Another problem is that most providers simply aren't exposed to home-based care during their residency and training. Education for providers, especially doctors, is still largely focused on the inpatient setting, so most graduates aren't comfortable with giving care in the home or even aware that such services are so valuable. "There is a great familiarity for providers to take care of patients in the hospital .?.?. to suddenly do it in a completely new space is just completely different than what they are used to," said Dr. Thomas Cornwell, a long-time home-care provider and CEO of the Home Centered Care Institute, a not-for-profit organization that works to advance home-care services. To help address the shortage, the Home Centered Care Institute along with MedStar Health and seven other academic medicine institutions launched an initiative Tuesday to train home-care providers. They estimate about 1,000 providers currently offer home-based primary care, and their goal is to increase that number to 5,000 within five years. As part of the initiative, the eight academic institutions will teach recently graduated providers a comprehensive home-based care curriculum to expose them to the unique skills needed to give home care. The curriculum was developed by trained professionals at the Home Centered Care Institute with help from the American Academy of Home Care Medicine. Training will be open to physicians, nurse practitioners and physician assistants. The courses will be taught by leaders who are part of each institution's respective home-care program. Each center hopes to enroll 40 students for the first classes, which will begin in early 2018. The curriculum will focus on skills not usually provided in medical school, like how to change a feeding tube in the home and use certain mobile technologies not needed in a hospital setting, Cornwell said. The curriculum will also expose providers to a variety of scenarios that can occur in a home and how best to handle it. 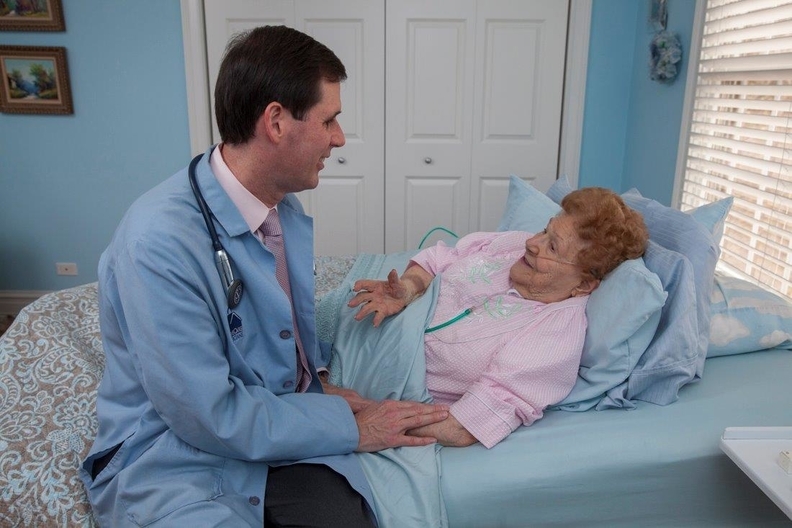 Home health providers can witness issues in the patient's environment that can sometimes be unsafe. Because of that, offering care in the home requires some "street smarts," MedStar's De Jonge said. The efforts that have been made so far to move home-based care from fee-for-service to value-based care will also be part of the curriculum. The CMS Innovation Center in 2012 launched the Independence at Home Demonstration, which rewarded 17 physician practices across the U.S. if they provided high quality home care while reducing costs. A study from the Commonwealth Fund found that participating practices saved on average $3,070 per beneficiary in the first year, primarily by reducing hospital use. The CMS saved $25 million in total. The demonstration was so successful, the Senate is currently considering a bill that would establish a permanent independence at home medical practice program under Medicare. If the bill passes, the need for home-care providers will only grow, Cornwell said. The push to value-based care will also likely draw more providers to home health since they'll be financially rewarded for savings. Home-based primary care is frequently touted by advocates for its cost effectiveness because it keeps patients out of nursing homes and can prevent costly hospital readmissions. "Under value-based payments those who save the most will be rewarded the most, and nothing saves as much as home-based primary care," Cornwell said. In order to get providers to enroll in classes, the Home Centered Care Institute will begin a public awareness and marketing effort to notify doctors, nurse practitioners and physician assistants of the opportunity. It will also let home health providers know of the curriculum so they can pass it on to others. The students targeted for the curriculum are recently graduated providers who already have the core medical skills and only require some additional training. "We are going to show them the best practices to really create a robust workforce and a new career path," De Jonge said. "We have the potential to make a big difference."